The Gibson is one of the best bars in DC, serving incredibly unique drinks, speakeasy style. So, when I saw the opportunity to learn from their bartenders in a tequila class, I just couldn't pass it up. Why tequila? Well, for one, I am not that knowledgeable about spirits as I'd like to be. So starting with a spirit I know I love just made sense. The Gibson Lab was held at their sister bar, Marvin, as they have a great new private room above the Hanoi House, previously part of the now defunct Blackbyrd. 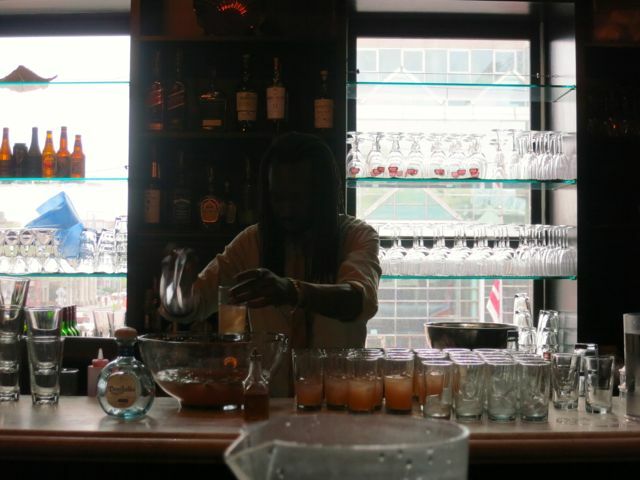 At the front of the room was a full bar while highboys and chairs comprised the rest of the room. My friend and I took a seat at one of the tables towards the front of the room at 6 p.m., the stated start time. It was clear that at least half the attendees had not arrived yet so they gave us a cocktail to pass the time as we waited for the room to fill. The first cocktail was delicious! 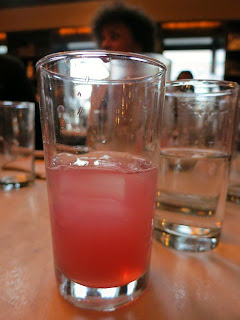 It was made with watermelon cooked down with sage and white pepper along with sugar, tequila, lime, and whiskey bitters. When the class finally started, I recognized a lot of faces from The Gibson. The educational portion of the class was being led by Manuel Aczualdez, Brand Ambassador for Don Julio, while the drinks were being made by Frankie, the GM and mixologist from The Gibson. 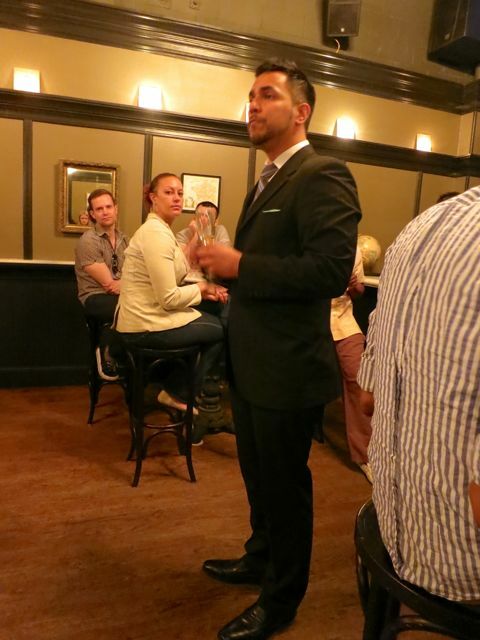 Manuel started off with a lot of history about tequila and Don Julio. Now not knowing much, I was incredibly interested in this portion of the class. Tequila, much like Champagne, may only be called "tequila" when it comes from the appalachian in central Mexico where Tequila is authorized to be made. He explained the difference between the agave plants grown in the lowlands versus the highlands. For example, in the highlands, there is less oxygen so they have to allow the plants 7-14 years to mature before they begin using them to make tequila. Then the agave is cooked slowly over the course of 2 days. It goes from fermentation to distillation until the final product is made. At this point, they served us our first tasting of a Blanco, which is the base from which all the other variants are derived. It is a silver tequila that is often used in margaritas. 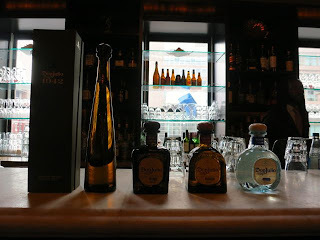 Of course, we also received a fascinating history about Don Julio from his humble beginnings up to what he has become today and how his tequila has evolved. I really enjoyed the educational portion. Next, we had another cocktail from The Savoy Cocktail Book , which is apparently one of the bibles of mixology. It was made with blanco tequila, lime juice, and housemade grenadine. I loved this one. The orange flower water really brought some sweet notes to this cocktail. 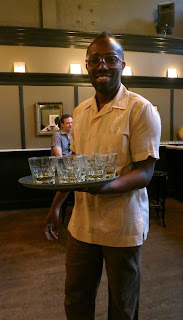 Our second tasting was of the Reposado, which is barrel aged for eight months in American white oak barrels. 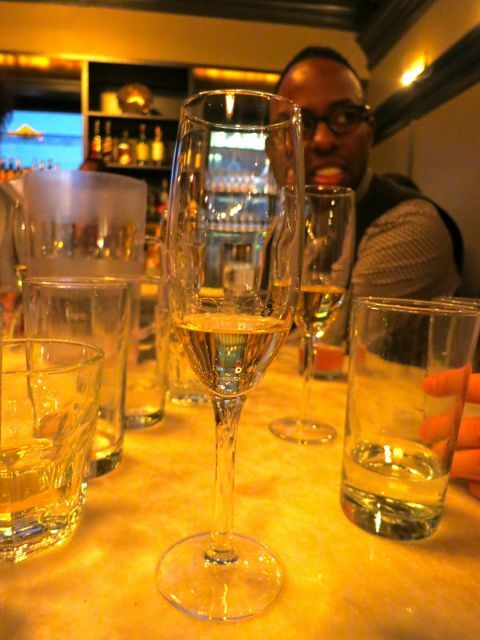 This tequila is golden amber in color and went down more smoothly than any of the others. The third tasting was of Anejo, which is barrel aged in smaller batches for eighteen months in American white oak barrels. Our final tasting was of the Don Julio 1942, which is aged for a minimum of two and a half years in American white oak barrels. This tequila was very unique with hints of vanilla, cinnamon, and chocolate. 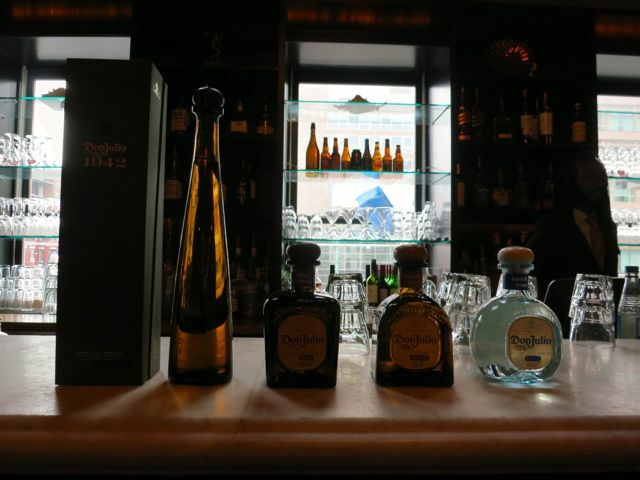 This tequila pays tribute to the year Don Julio began his tequila-making journey, but was actually made in 2002. 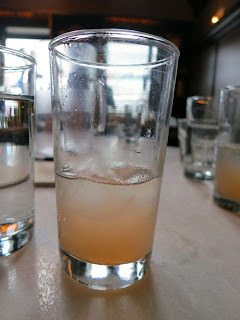 Lastly, we finished with a final cocktail that, much like the others, was as good as a cocktail I'd have at The Gibson. This was a great tasting and educational class and I'm hoping to attend more in the near future. Highly recommended.